On behalf of the people of Resurrection Catholic Church, I would like to welcome you to our parish. Our mission statement reads, “An ever-growing Eucharistic community boldly serving others through God’s love.” Our Catholic Church is built on the Eucharist. Through it, we live, we grow, and we love. The mission of Resurrection has been to reach out to neighbors, the poor, and the world. This can only be done through an encounter with Jesus Christ. In the Eucharist, we come to know Jesus Christ and his immense love for us. Sustained by the Eucharist, we provide the people we encounter with the very gift we receive – the love of God poured out for us in Christ’s suffering, death, and resurrection. How was the parish of Resurrection established? 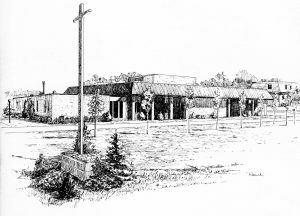 In 1967, people, many faithful members of Saint Francis Catholic Church, were asked to begin a new parish in southeast Rochester. 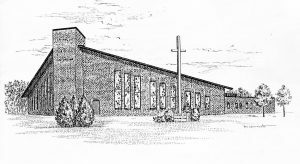 With no structure yet built, the beginnings of Resurrection began in an airplane hangar. Talk to charter members of the parish and they remember Masses being celebrated in the hangar. From there, Father Zenk Hall and the parish offices were built before the final and last piece was added the current church structure. From such humble beginnings, the parish is now composed of 1,375 families with numerous opportunities to volunteer. Again, welcome to Resurrection Catholic Church!